Senso-ji Temple Tokyo Senso-ji Temple is the oldest temple in Tokyo, and the Kaminari-mon (thunder gate) that is famous for the gate with the god of the winds and the god of thunder is also here. (History: from the beginning of Nakamise to the date and how it started) Nakamise is one of the oldest shopping streets in Japan. Since Ieyasu Tokugawa opened the Edo Shogunate, the population of Edo had increased and the number of people who visited Senso-ji Temple had also increased, and the permit of opening sales in front of the sub-temple on the south side was given to people who lived close to the temple who were imposed of the cleaning work at the precincts of Senso-ji Temple. This is the beginning of Nakamise and it is said to be around the Jokyo era (1685). Ryogoku Kokugikan (the national-sport arena) Tokyo Ryogoku Kokugikan in Sumida-ku, Tokyo is, as everyone knows, a sacred place for sumo wrestling. This facility, with more than 10,000 seats and the capacity that can accommodate more than 11,000 people, is used for not only the grand sumo wrestling programs but also boxing and martial arts matches and the artists' concerts. Also, events and programs concerning the grand sumo wrestling throughout the year are held here, so it is one of the attractions that you can watch them more casually than you think. When you visit Tokyo for the sightseeing, why don't you watch the grand sumo wrestling matches once at the sacred sumo place Kokugikan? The Imperial Palace Tokyo The Imperial Palace in Chiyoda-ku, Tokyo is a place where the Emperor resides as his house and palace during the normal period. The Imperial Palace is large enough to hold about 25 Tokyo Domes. It is surrounded by a moat, and the sidewalk established next to the moat has become a sacred place for runners who enjoy jogging. 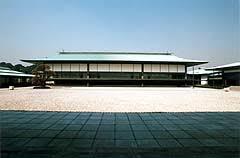 The Imperial Palace is dotted with the "gosho", the residence where the Emperor and the Empress live, the palace, where various events are held, and the office building of the Imperial Household Agency. There are terms and conditions for the general public to pay a visit, and prior application is required. This is a place you cannot miss, but if you want to see the inside, you should make a prior application for the visit in advance. Kabukiza Theatre Tokyo Kabuki-za Theatre is the only theater exclusively for Kabuki in the world. For this reason, various services to enjoy Kabuki are provided.  The subtitle guide service is also available, and you can read the explanation of Kabuki by renting a private panel. The diner is also available, so you can also enjoy boxed lunch and sushi during the play. 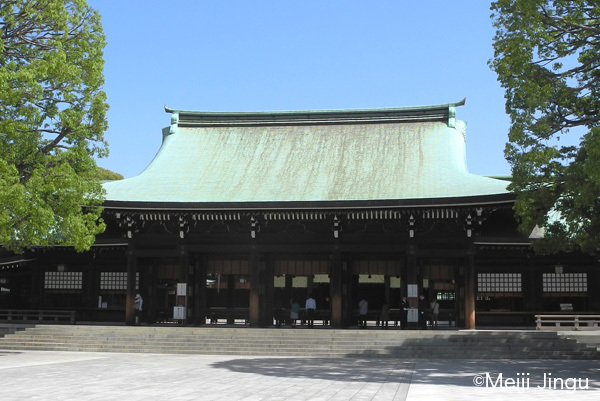 Meiji Jingu (Shinto shrine) Tokyo Meiji Jingu enshrines the souls of Emperor Meiji and Empress Shoken and was founded on November 1st, 1920. The evergreen forest is the man made forest with around 100,000 trees planted that were contributed from all over the country at the time of the enshrinement. It is also known as the shrine that attracts the most number of people for the first visit of the year in Japan every year. Besides that, it conducts a wide variety of festivals and events such as Sumo grand champion 'ring entering' ceremony and children's festivals. Shinjuku Gyoen (National Garden) Tokyo Shinjuku Gyoen is located only 10 minutes-walk from the Shinjuku Station. A variety of plants are planted in the garden, and you can feel the nature of four seasons such as cherry blossoms in Spring and a bright red foliage in Autumn in the middle of Tokyo. It is a calm and quiet space, which will let you forget about being in Shinjuku. Surrounding area of Shinjuku Gyoen is also a peaceful environment, and there are many trendy cafe, so it is also recommended that you enjoy walking around. It is just a few minutes of walk away from the Shinjuku Station, so why don't you stop by for some exploring? Tokyo Skytree Tokyo "Tokyo Sky Tree" is a new landmark in Tokyo. 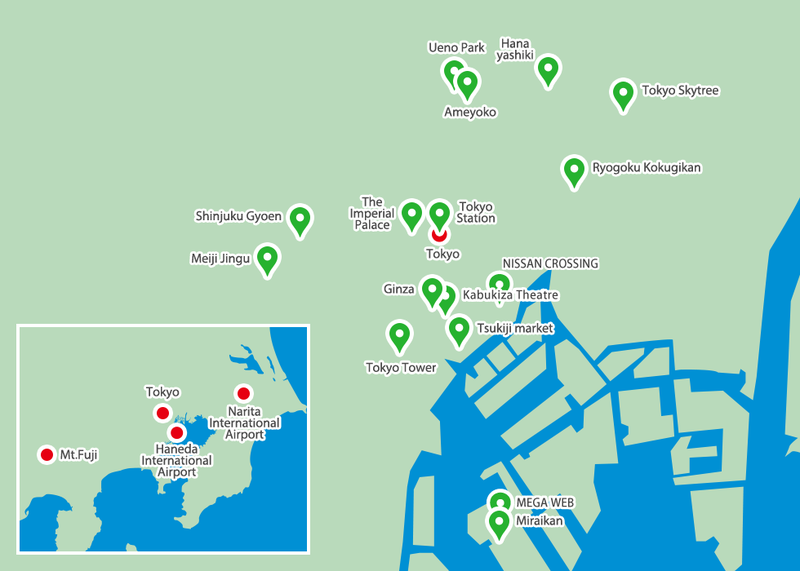 With easy access from Asakusa and Odaiba, it has become a part of the route with must-sees. 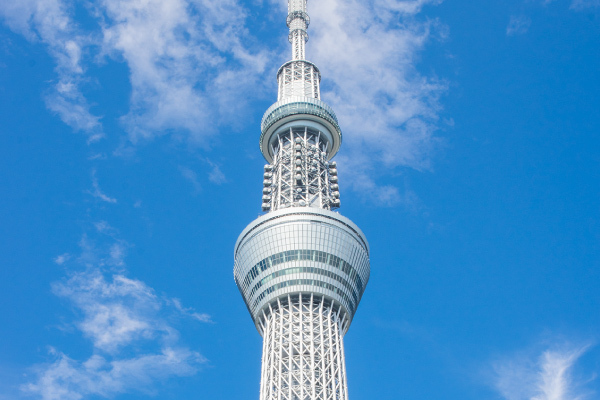 There are 2 kinds of observation platforms that you might want to go, the Tokyo Sky Tree Observation Deck at 350 meters above the ground and the Tokyo Sky Tree Observation Gallery at 450 m above the ground. If you go there anyway, why don't you go up to the observation gallery? Limited-time events are held there, so anytime you visit there, it is worth visiting. Views from the observation deck are of course marvelous! There is a panoramic restaurant there, so it is also suitable for dating. Tokyo Tower Tokyo "Tokyo Tower" is the standard tourist attraction in Tokyo. It is the facility consisting of the 150m-high grand observation platform, the 250m special observatory, and the commercial building "Foot Town" at the foot of the tower. 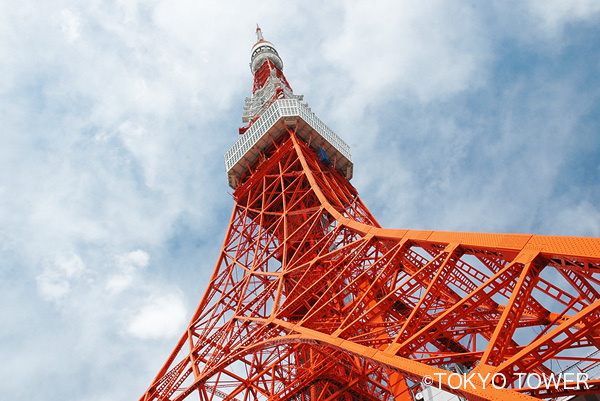 You can climb Tokyo Tower by the stairs on weekends and holidays, and many fun events were taking place. Also "Foot Town" is lined with amusement facilities such as an aquarium, cafes, restaurants, and souvenir shops, so this is also perfect for sightseeing. Many foreigners have visited Tokyo Tower recently. This is a must-see spot even you are traveling alone or with you friends. Miraikan-The National Museum of Emerging Science and Innovation Tokyo Miraikan-The National Museum of Emerging Science and Innovation is the science museum located in the popular sightseeing area Odaiba. It is known as the museum served by the astronaut Mamoru Mouri as the director. There are exhibits that you can touch on advanced science while enjoying hands-on exhibits to familiarize yourself with science. 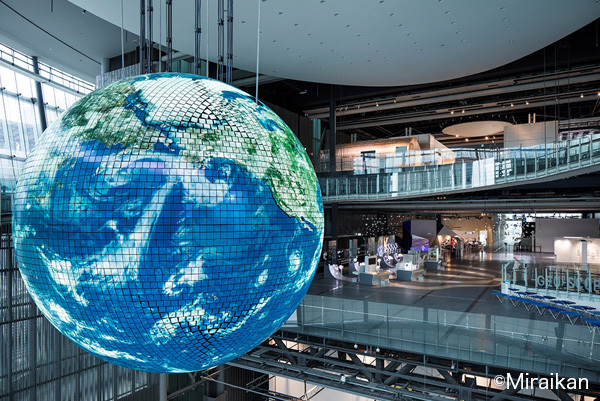 When you visit Miraikan, the one you should see is "Geo Cosmos". You can carefully observe the Earth as seen from space. There are also many other exciting exhibits such as the dome theater where you can enjoy the planetarium, robot demonstrations where you can see ASIMO that actually moves, and riding experience on the personal mobility (single-seater mobile devices) UNI-CAB. Tsukiji market Tokyo "Tsukiji Fish Market", the municipal wholesale market located in Chuo-ku, Tokyo. It is the largest market, not only in Japan but also in the world. It is also the spot many foreign tourists visit every day. 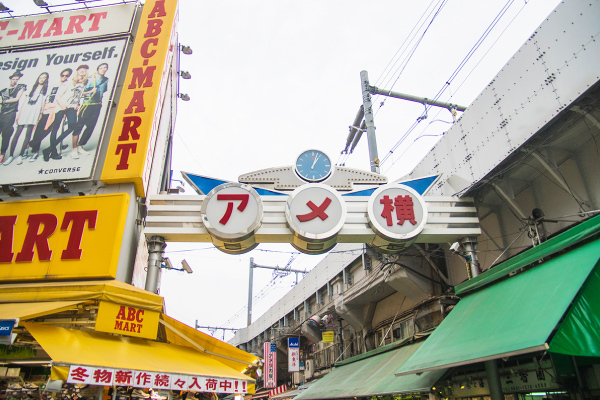 There are areas called "Jounai (inside the market" and "Jougai (outside the market)" in the Tsukiji Fish Market, and over 1,000 specialty shops are concentrated. Did you know there is a tour that you can see the inside of the market which is suitable for so called Japan's kitchen? In this tour, you can see the tuna auction up close, so it is so popular that those who visit there all join the tour. Please note that the market will be moved to Toyosu in November 2016, so if you are thinking about going there for a visit after that date, please check the situation beforehand. MEGA WEB Tokyo MEGA WEB is the theme park for cars where you can experience. Toyota City Showcase which exhibits up to 140 current passenger cars, History Garage which exhibits the historic cars of the world, Toyota Universal Showcase where you can experience the universal design and more are here for you to enjoy. There is also an electric car auto driving course. This is a theme park for cars where you can watch, ride and feel them. NISSAN CROSSING Tokyo NISSAN CROSSING will act as a new informative center that functions as a base for communicating Nissan Intelligent Mobility, offering exciting future driving experiences to customers. NISSAN CROSSING was designed under the theme of 'Spiral.' The design symbolically expresses customers' emotions and experiences as well as their journey from the past, present, and to the future. The Spiral design can change color in accordance with the season, time, and the particular event to create a dynamic space. An architectural design that was previously thought impossible was realized thanks to a cutting-edge digital process also used in automotive design. 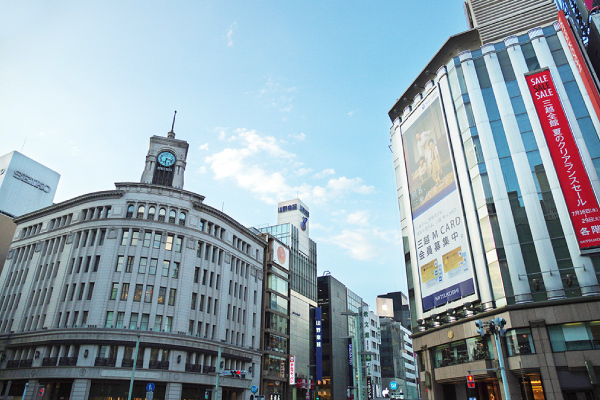 Ginza is a place where tradition and innovation coexist to create a new culture. 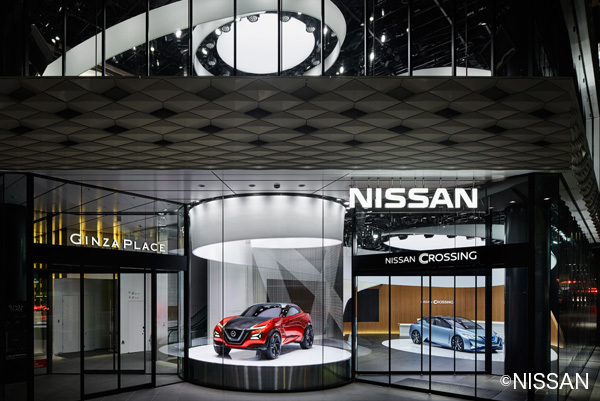 We highly anticipate that NISSAN CROSSING will become a new landmark in the city. Mt.Fuji Shizuoka Mt. 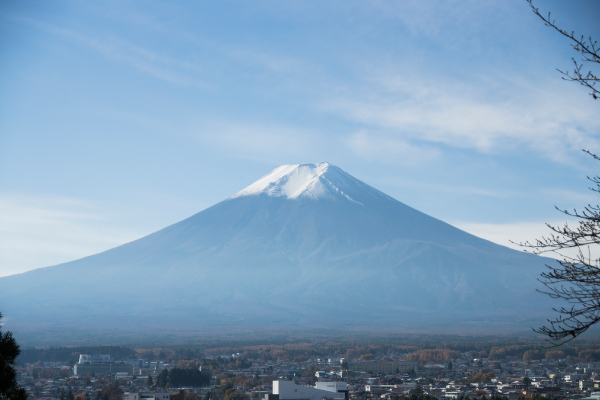 Fuji, the pride of the people, has been registered as the world heritage, and is more crowded. You will be overwhelmed by a mighty presence when you look it up and feel it close for the first time. Mountains are said to have the power, and you are sure to agree to this. Ameyoko (Ameyoko Shopping Street Federation) Tokyo Ameyoko Shopping Street Federation is an association in Tokyo's Taito Ward of more than 400 stores selling from food and shoes to brand-name goods spanning roughly 500 meters between JR stations of Ueno and Okachimachi located under the Yamanote Line elevated rail tracks and the area west of it. It can be reached in few minutes by foot from the JR Ueno Station's Shinobazu Exit. Ameyoko Center Building was completed in 1982 and this is what roughly stands there today. Over 500,000 shoppers traditionally gather at the end of year here to prepare for the new year. Ueno Park (Ueno Onshi-Park) Tokyo Ueno Park was designated as the first park of its kind in Japan in 1873. Initially it was a park consisting mainly of the Main Hall and Mausoleum of Kan'ei Temple and Toshogu Shrine with the blooming cherry blossom trees on its grounds. Afterwards a zoo and various museums were built turning it into a center of high culture. The park is famous for cherry blossoms (Somei Yoshino trees) and has been selected in the top 100 scenic views for cherry blossoms in Japan. It is also well-known for the merry crowds that gather during the cherry blossom season. 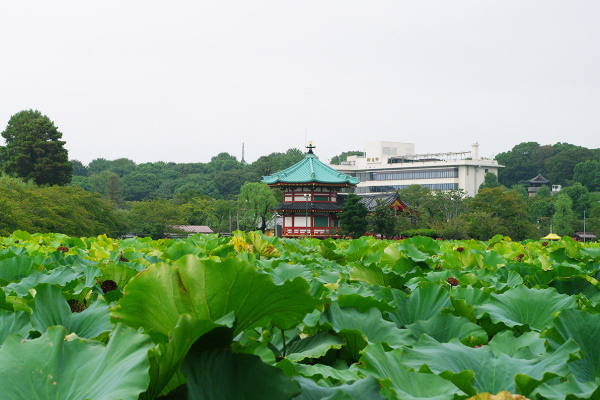 Also a large part of the pond is covered with lotus, so that it is really quite beautiful to see the whole surface of it being covered with green leaves and lotus flowers during summer. Hanayashiki (Asakusa Hanayashiki) Tokyo Asakusa Hanayashiki was founded by a landscape artist in 1853 (at the end of the Edo Period). It started out as a garden filled with peony flowers and chrysanthemum artworks. Amusement facility was added around 1872. It became a sensation with rare birds and wild beasts in captivity, western-styled large-sized trick photos and bird shows. It was so popular that Emperor Taisho even made an incognito visit there. Japan's existing oldest "Roller Coaster" was built in 1953, followed by Satellite Tower (afterwards The Bee Tower; discontinued in Sep 2016) in 1960. 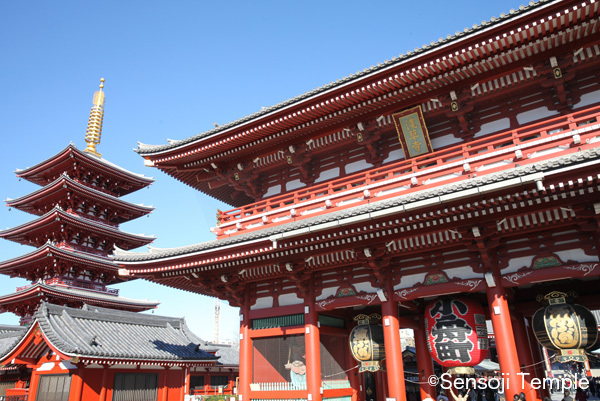 They both became a landmark for Asakusa and had contributed greatly to the area's development. 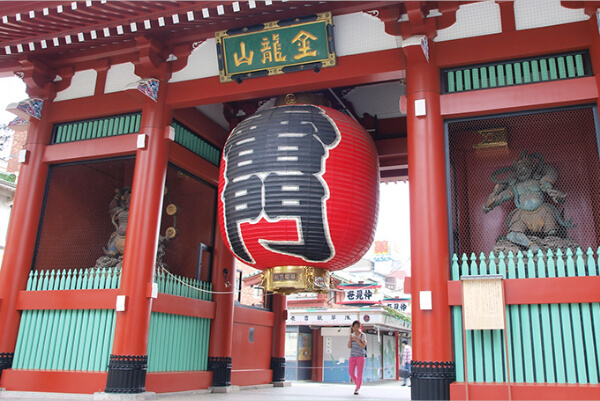 Currently there are 22 different kinds of attractions at this popular Asakusa amusement park along with a fairground and eating and drinking establishments crouched all in between. Tokyo Station Tokyo Tokyo Station is the gateway railway terminus for Tokyo and is the main station in the network of high-speed trains in Japan. It is also starting point for major intercity train lines such as Tokaido and Tohoku main lines. Tokyo Station is one of the gateway terminals for Japan with approximately 3000 trains a day that are served here. It has the third most average number of passengers using a station per day. It covers a total area of 182,000 sqm. The red brick station building on the Marunouchi side was designed by Kingo Tatsuno and completed in 1914. The government designated it as an important cultural asset in 2003. The station has been isted in the 100 Certified Stations of Kanto Area. 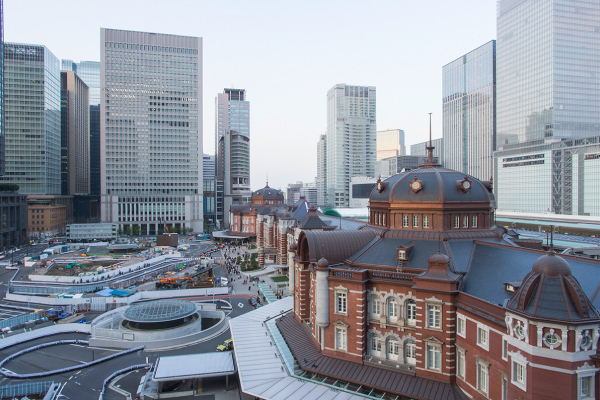 Tokyo Station is surrounded by many large-scale shopping and office buildings, such as Maru Biru and KITTE. 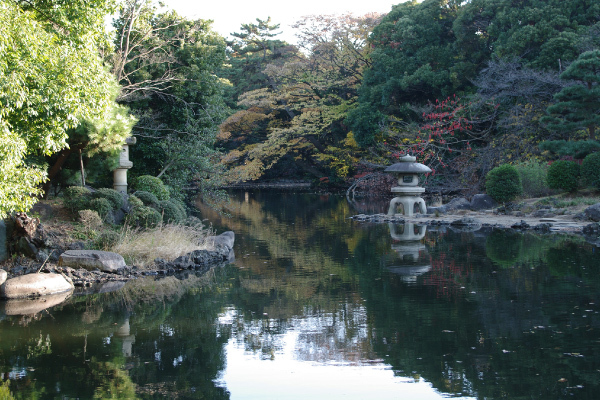 Also it is close to the Imperial Palace Outer Gardens and Hibiya Park, providing greenery and history to a city landscape. Ginza Tokyo The name Ginza is derived from a foundry built in 1601 in Kyoto's Fushimi district for minting silver coins during the Edo Period. In 1612 a silver foundry (the silver mint) for the Shogunate government originally located in Sumpu (current Shizuoka City) was moved to Edo (now Tokyo). That was further relocated to Edo's Kakigawacho in 1800, where the popular name of the area was then Shin Ryogaecho, became to be known eventually as Ginza. The name remained there even after the mint was relocated to Nihombashi. The area around Ginza 4-Chome Crossing is known to be the most expensive land in Japan. Ginza Dori is a world-renowned shopping street, blending the latest trends with tradition, with department stores, top brands outlets and long-established traditional businesses one after another offering wide range of products from around the world. Japanese cuisine can be experienced at Ginza at long-established restaurants from high-end establishments to sushi restaurants. Sensoji Temple Tokyo Senso-ji Temple is the oldest temple in Tokyo, and the Kaminari-mon (thunder gate) that is famous for the gate with the god of the winds and the god of thunder is also here. (History: from the beginning of Nakamise to the date and how it started) Nakamise is one of the oldest shopping streets in Japan. Since Ieyasu Tokugawa opened the Edo Shogunate, the population of Edo had increased and the number of people who visited Senso-ji Temple also had increased, and the privilege of opening sales in the precinct and along the approach to the temple was given to people who lived close to the temple who were imposed of the cleaning work at the precincts of Senso-ji Temple. This is the beginning of Nakamise and it is said to be around Genroku and Kyoho eras (1688-1735). Meiji Jingu (Shinto shrine) Tokyo Meiji Shrine enshrines the Meiji Emperor and Shoken Empress Dowager and was founded on November 1st, 1920. Joban no Mori, the thick green forest, is the artificial forest with around 100,000 trees planted that were contributed from all over the country at the time of the enshrinement. It is also known as the shrine that attracts the most number of worshippers for the first visit of the year in Japan every year. Besides that, it conducts a wide variety of festivals and events such as the grand sumo Yokozuna ceremony and children's festivals. Miraikan (The National Museum of Emerging Science and Innovation) Tokyo National Museum of Emerging Science and Innovation (Miraikan) is the science museum located in the popular sightseeing area Odaiba. It is known as the museum served by the astronaut Mamoru Mouri as the director. There are exhibits that you can touch on advanced science while enjoying hands-on exhibits to familiarize yourself with science. When you visit Miraikan, the one you should see is 敵eo Cosmos�. You can carefully observe the Earth as seen from space. There are also many other exciting exhibits such as the dome theater where you can enjoy the planetarium, robot demonstrations where you can see ASIMO that actually moves, and riding experience on the personal mobility (single-seater mobile devices) UNI-CAB. Mt.Fuji Tokyo Mt. Fuji, the pride of the people, has been registered as the world heritage, and is more crowded. You will be overwhelmed by a mighty presence when you look it up and feel it close for the first time. Mountains are said to have the power, and you are sure to agree to this.